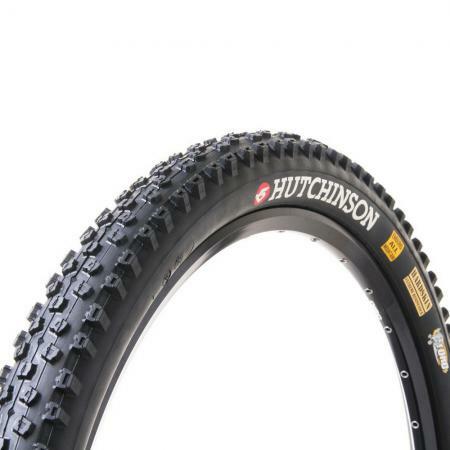 An excellent all around tyre, the Toro excels on a variety of terrain and conditions and was recently named "The best tyre to keep on your bike year round" by UK magazine Singletrack. The Toro is a neutral handling tyre that benefits from tall evenly spaced knobs. It also has 2x2 taller lateral knobs which hang on in the corners in a variety of conditions and lower center knobs that shed mud while providing excellent traction. Well suited to a variety of terrains and conditions. 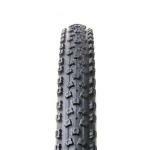 This 27.5 x 2.10 tyre is available in either a Tubeless Ready or tube type variant. The Tubeless Ready model features Hardskin bead to bead reinforcement for puncture protection as well as a folding bead design with a 127 TPI casing and weighs in at 720 grams. 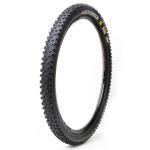 The tube type model features a wire bead design with a 33TPI casing and weighs in at 740 grams.